Most people living in cities frequently lack to have experience of outdoor space, many does it because they don’t have an option or maybe they didn’t figure it out, at least not yet. 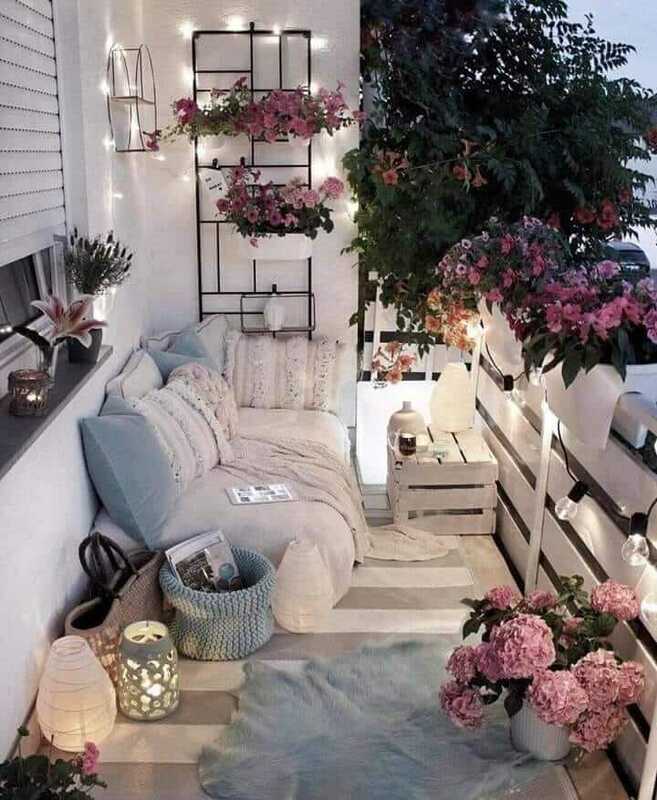 A small balcony is so unique part of your house, it can always play an amazing outdoor place just by decorating it, while being indoors. 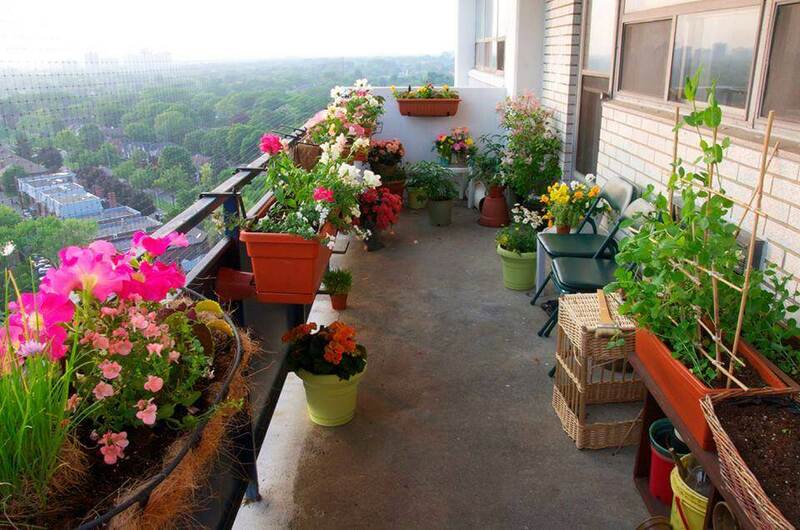 All you need is, to look up for creative ideas to rearrange or decorate your balcony to magnify most out of it. 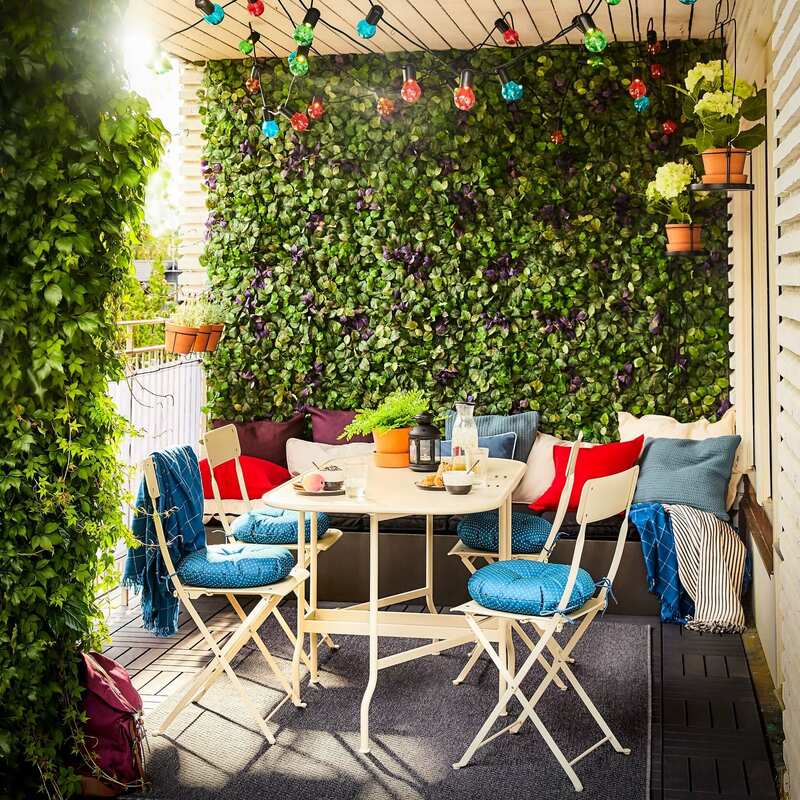 Shape, size or orientation hardly carries any significance in order to turn your balcony out to be the most pleasant outdoor space, creativity definitely does. 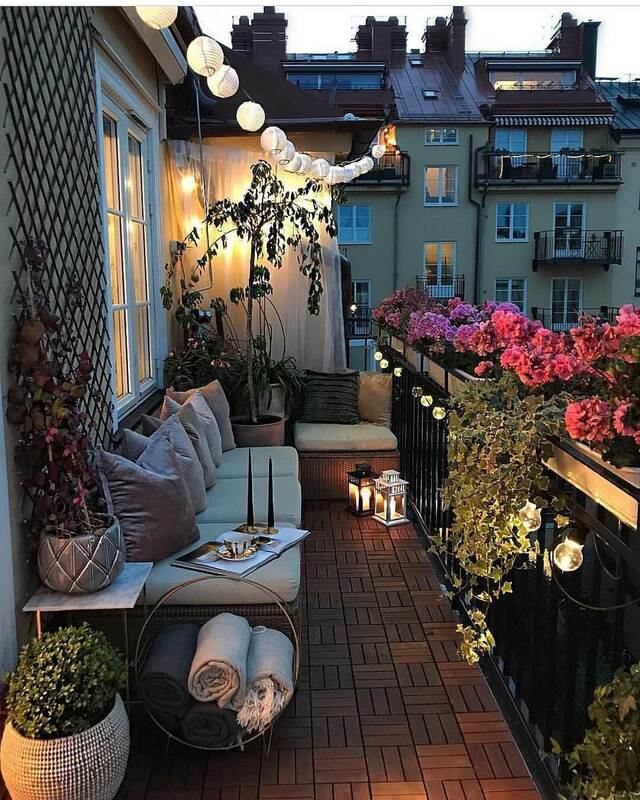 Please go through following balcony decorating ideas and figure out what works out for yours? 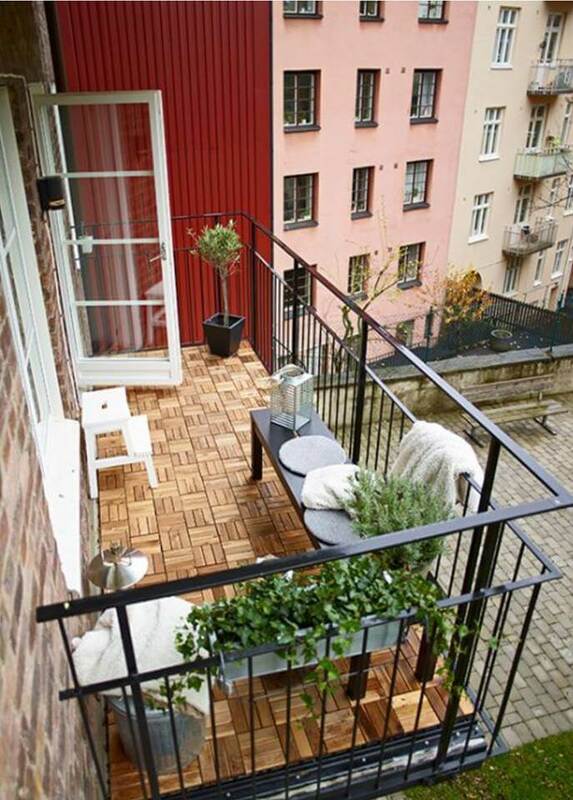 Shifting your breakfast from dining room to balcony gives you more than just morning meal in morning. In starting, try with small country side wooden small table. 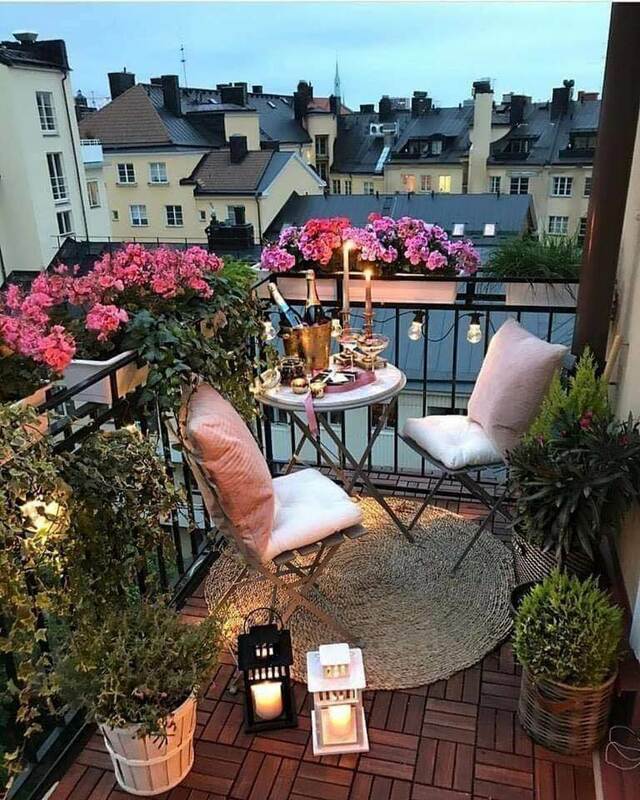 If you liked the first one, may be permanent seating arrangement will increase your engagement with your newly identified outdoor space in small balcony. Nature has always been great company, adds good vibe, hence fill balcony with green fellows. Pick planters with leafy plants. Oh no!! Not cactus anymore. 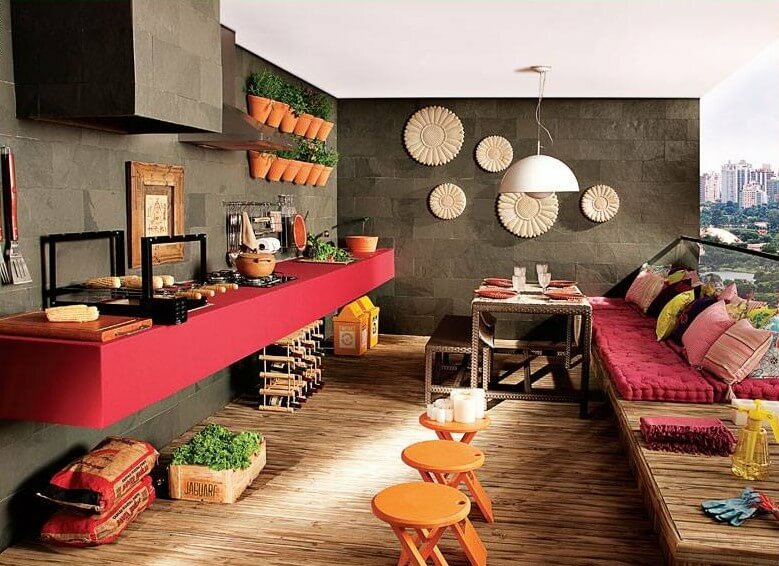 Patterns are always good for floors, good to have on balcony floor too, use low cost rugs instead of permanent tiling. Try to keep them in aura of furniture colours and shapes of patterns. 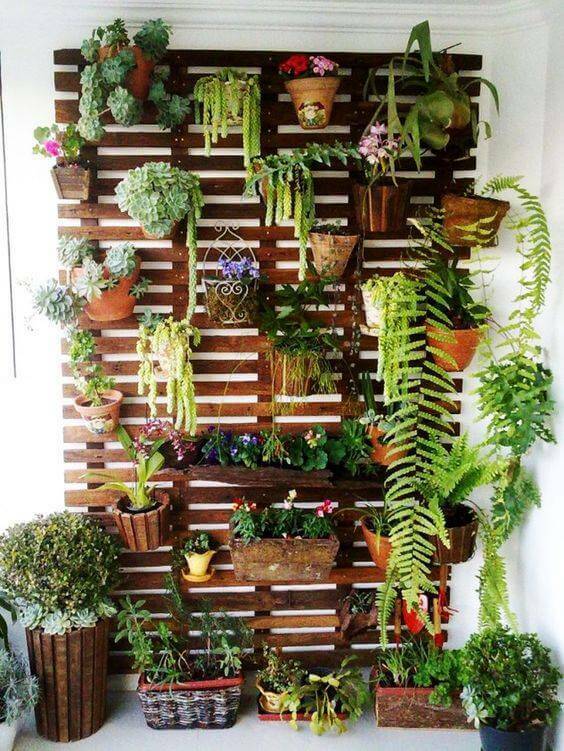 Hanging planters on walls or wall-mounted gardens are always best to have instead of painting them with artificial non-living shapes. 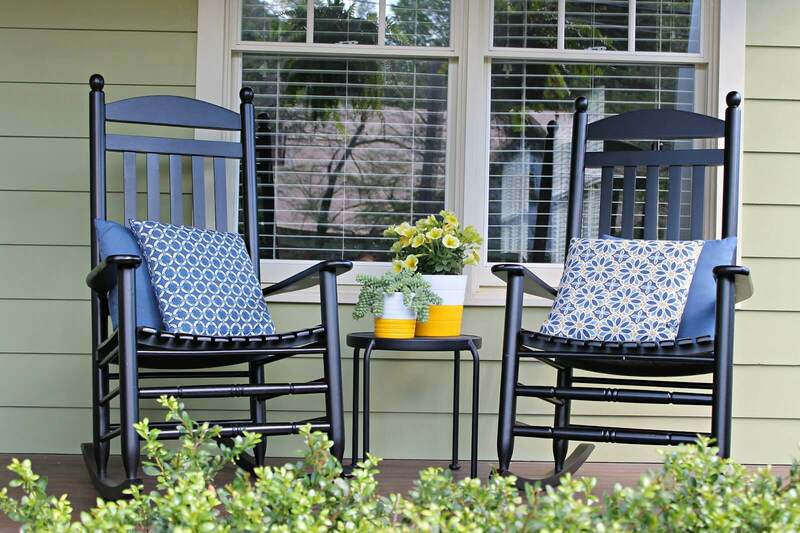 It adds value to balcony look from exteriors. Introduce dim white lamps on corners or hang a big size dim lamp as pendent. Pendent can be accompanied by wind chimes around it. Balcony is more than a place to stand and look up in the sky. A light weight movable rocking chair can prolong those looking up moments a relaxing one. Have you had a second thought about partying outside? A balcony with hanging pendent, perfumed plants with a table having large candle. Here is your candle light dinner with family beneath the stars with almost no extra charges. Avoid using artificial smells like room fresheners or other ways to sprinkle scent. Seek help from the same natural fellows, that scent was stolen away from, known as flowers. Neighbours and passer-by often comprise your privacy. 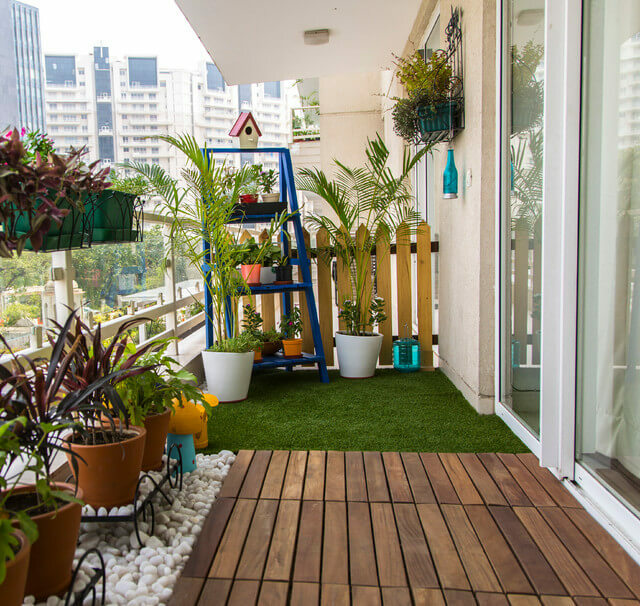 Balcony walls can uphold the long plants instead to ensure privacy instead of taking up the walls.